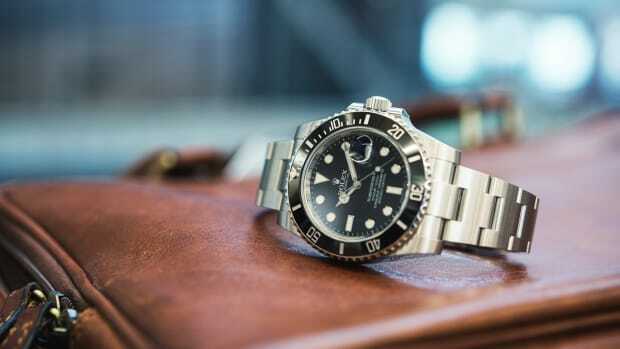 Today in New York City, Christie's is staging its sale of Exceptional Watches including some very lust-worthy pieces from the likes of Rolex, Omega and Ulysse Nardin. 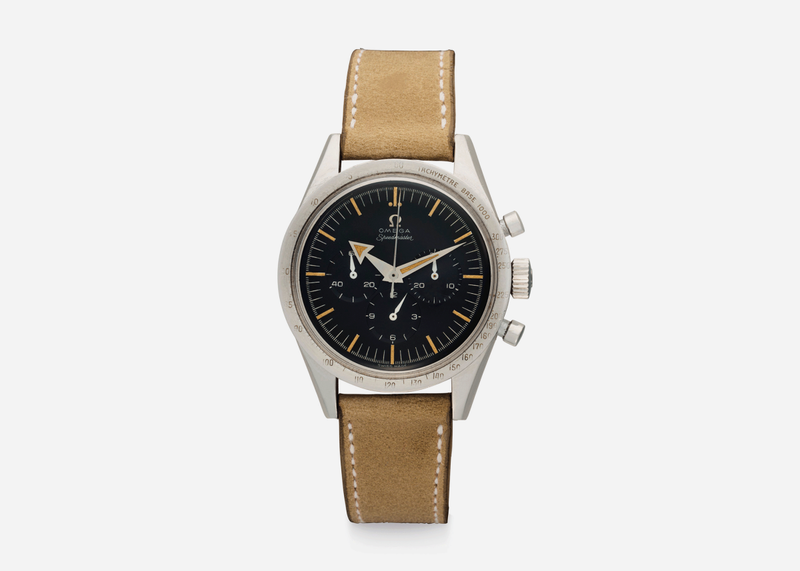 While a million-dollar watch may not be in your budget, it's still a thrill to ogle these pieces which rarely come up for auction, and they're also a good indication of where prices are headed, which could affect the value of modern pieces down the line. Christie's calls this early example of the "James Bond" big crown Submariner made c.1956 "the find of a lifetime" thanks to its "impossibly rare" Explorer-style dial with Arabic numerals at 3, 6, and 9 as well as the ultra-rare "meters first" marking in red. 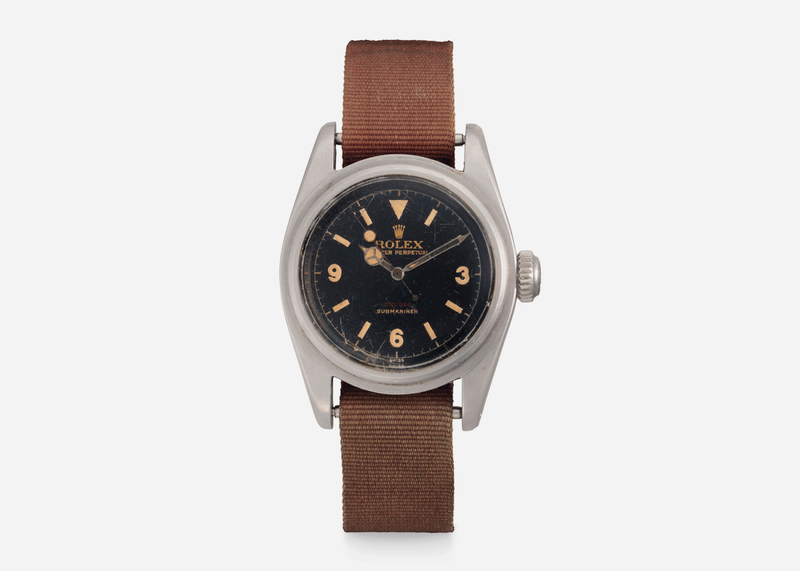 Originally purchased for $100, it's now worth $500,000–$1 million. 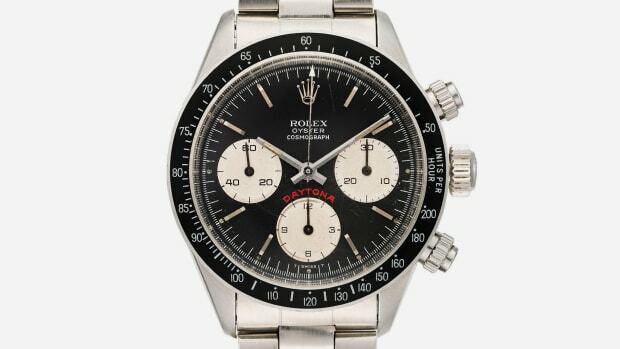 "Paul Newman" Daytonas are so insanely expensive these days savvy collectors are looking to other Rolex references from the same era whose prices aren't as inflated. The next big star: these stunning Ref. 6263's which have nearly as much panache for a fraction of the price. Estimated at $40,000–$60,000. 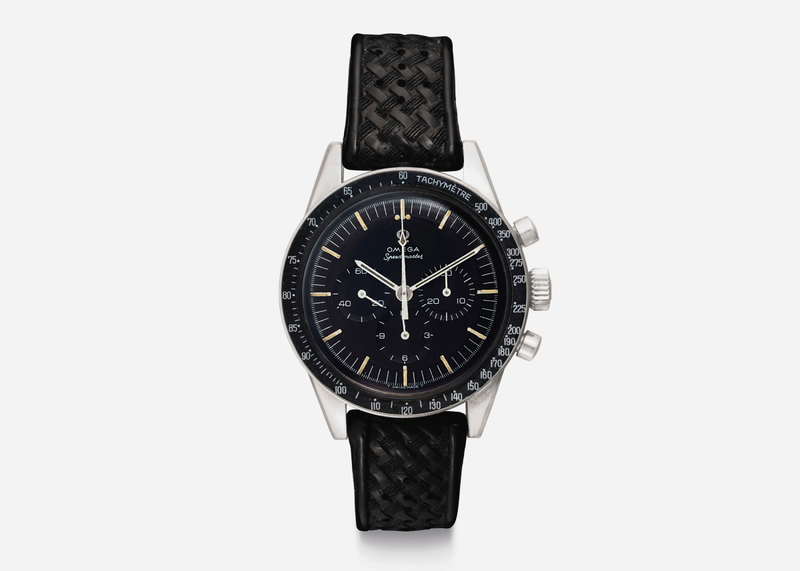 Among Speedmaster aficionados the "broad arrow" models are highly desirable – Omega changed them in subsequent versions – and this piece made in 1957 from the first ever Speedy reference is one of the most coveted in existence. Hence its eye-opening estimate of $150,000–$250,000. 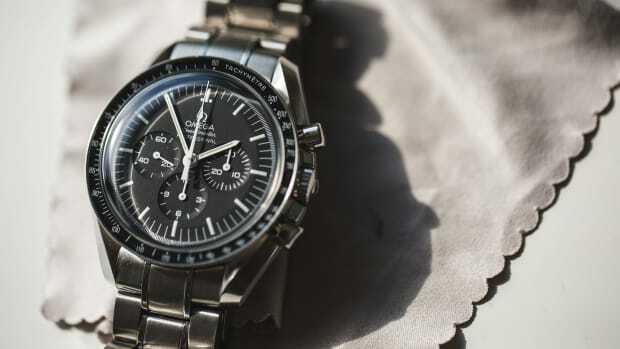 This more modern "pre-Professional" Speedmaster made in 1968 is from the reference that passed NASA’s rigorous qualification tests in 1965 resulting in it becoming the official moon mission watch. Astronaut Ed White wore on one his historic spacewalk. Estimated at $12,000–$18,000. 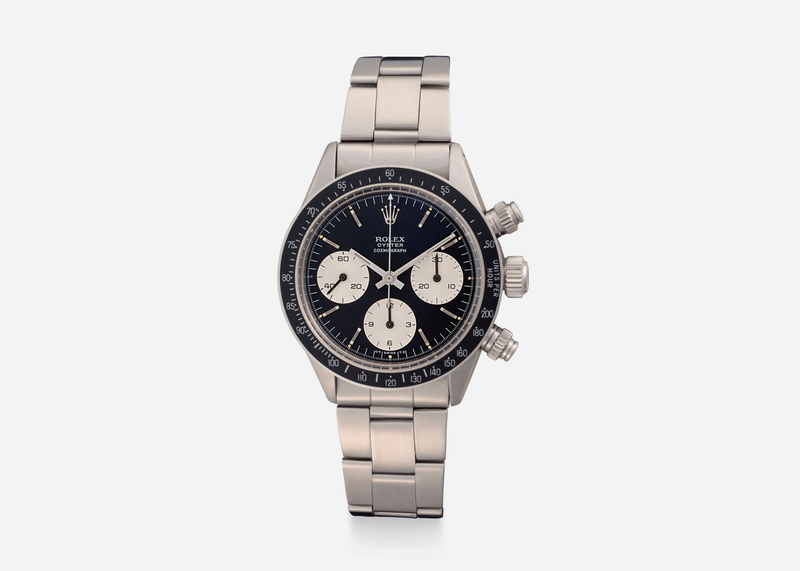 At $25,000–$45,000, this rare Ulysse Nardin chronograph made c.1969 is a relative bargain and extremely interesting and appealing blending as it does elements of the Paul Newman and the Speedmaster. 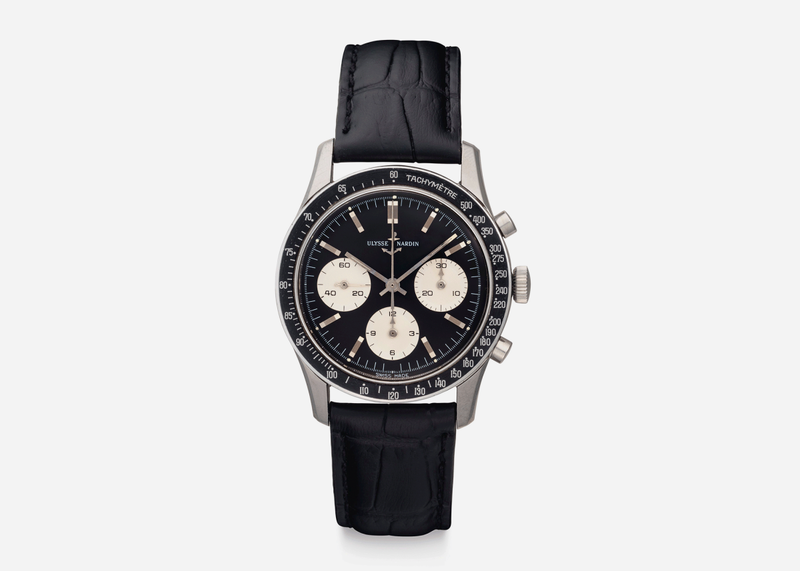 Hardly ever seen on the market this is one watch whose value we expect will shoot up in the years to come.